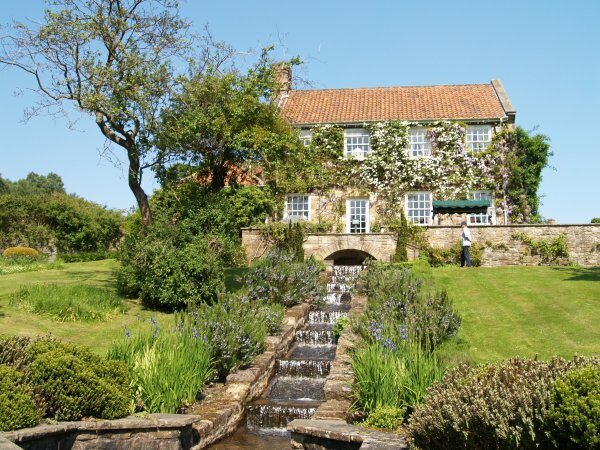 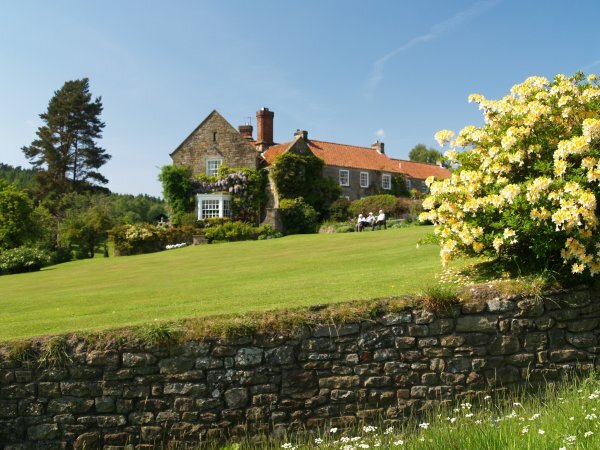 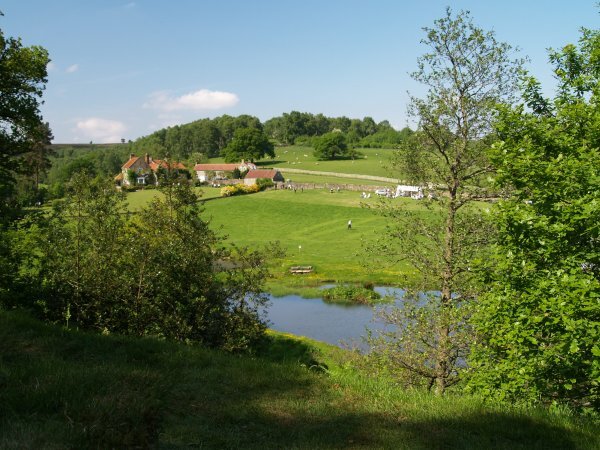 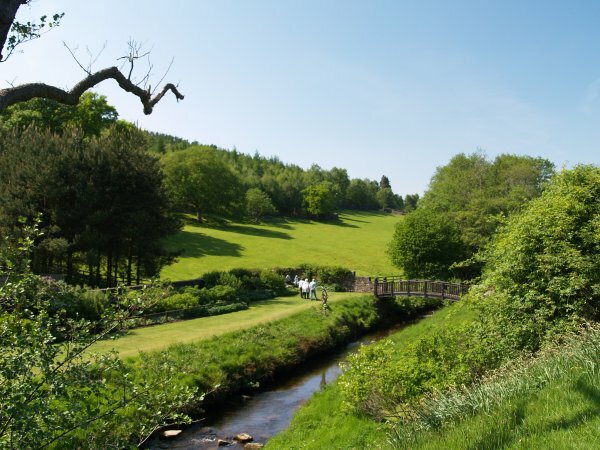 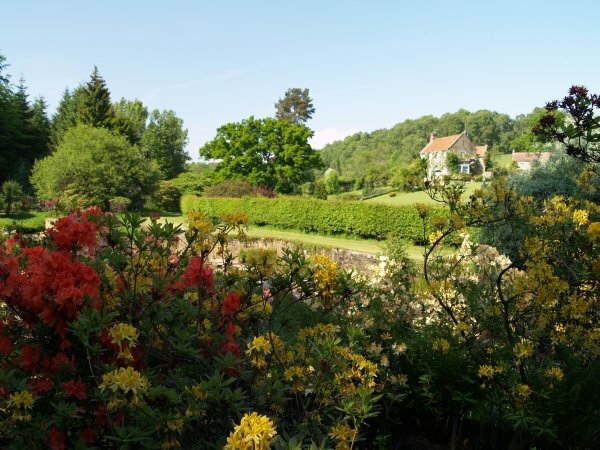 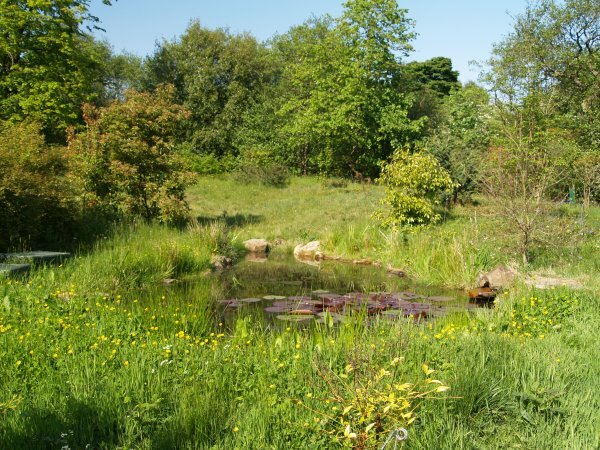 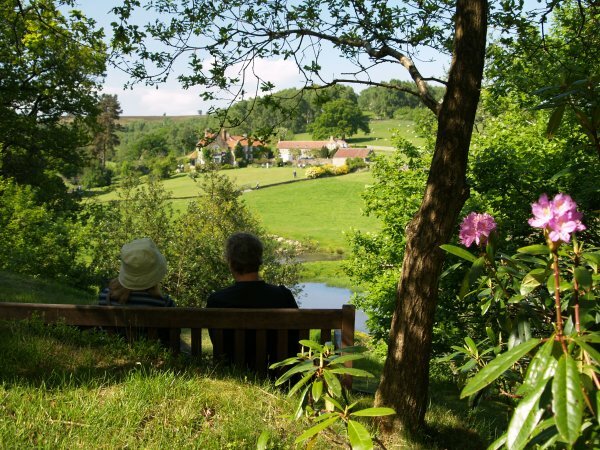 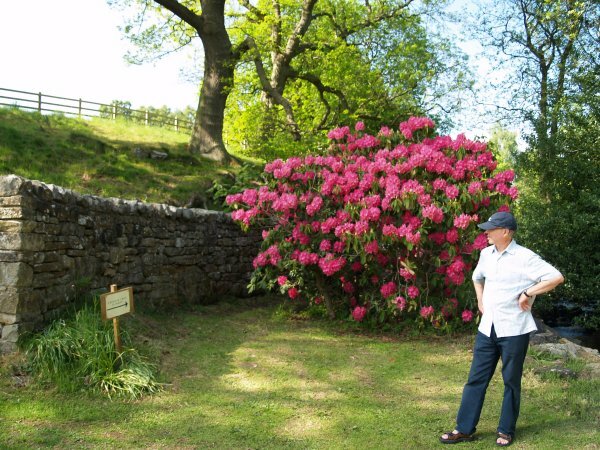 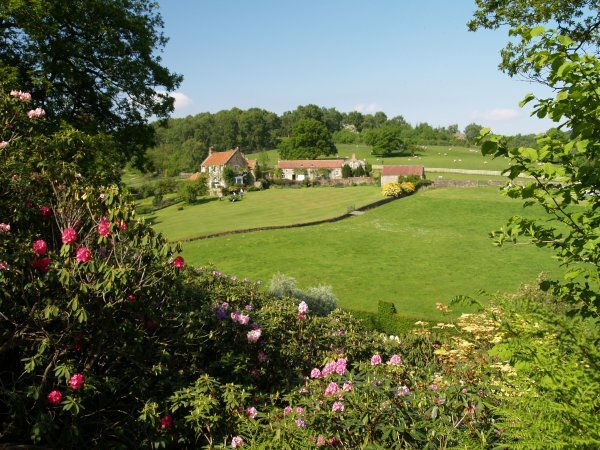 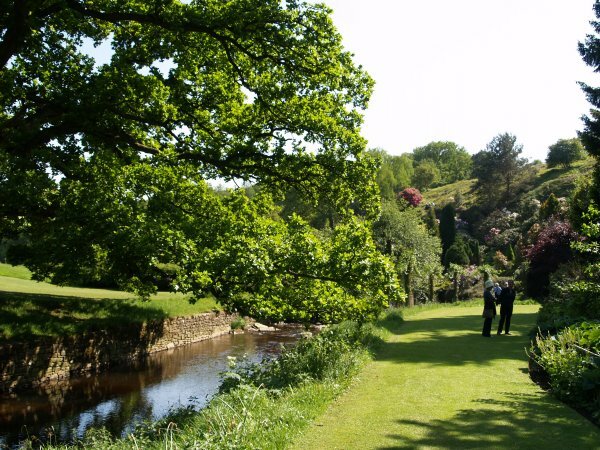 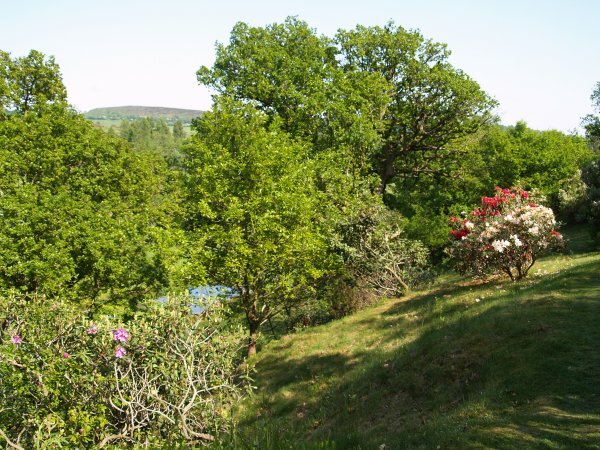 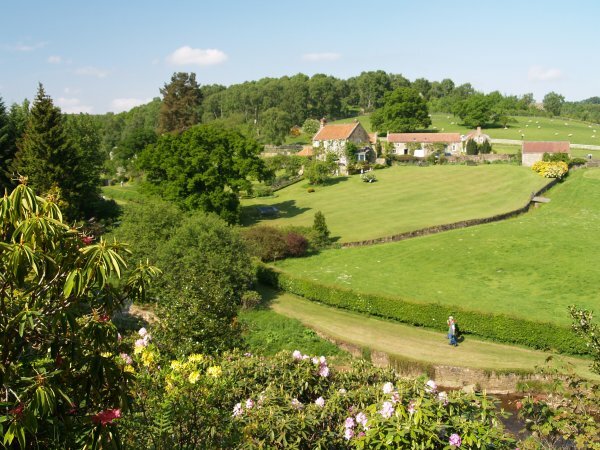 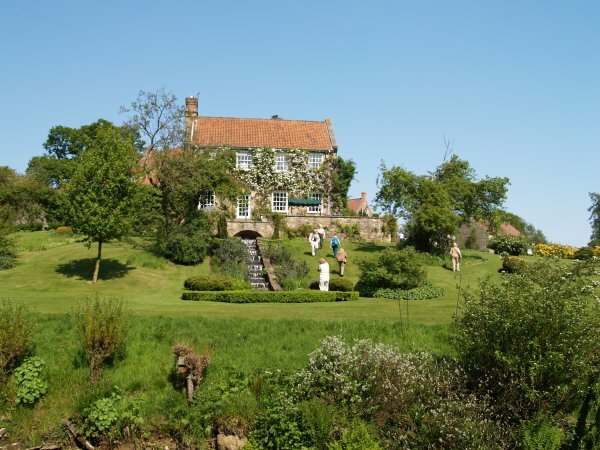 An enchanting 10-acre moorland garden which is set around the River Hodge Beck. 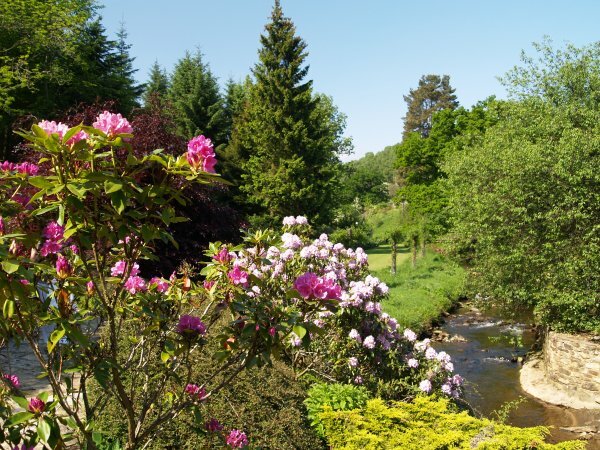 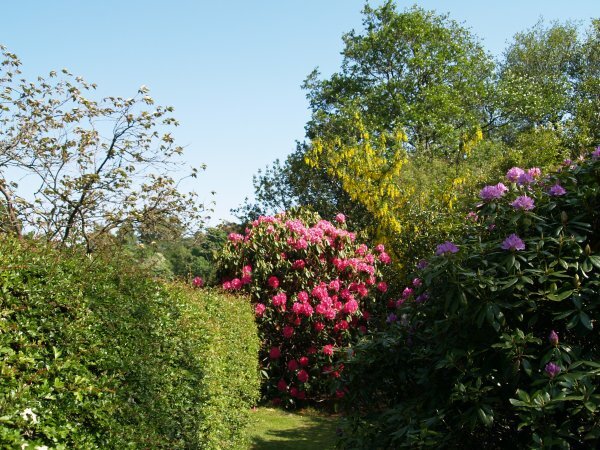 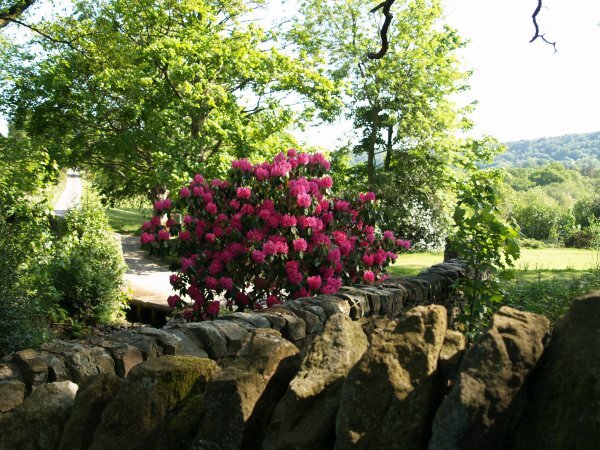 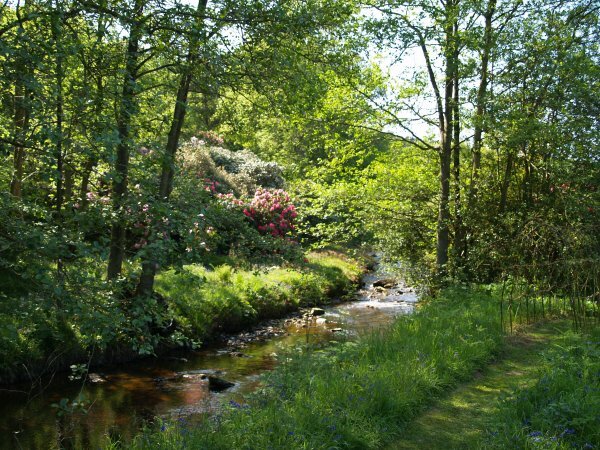 It supports an extensive collection of magnificent rhododendrons and azaleas, set in mature oakwood and a lovely river circular walk. 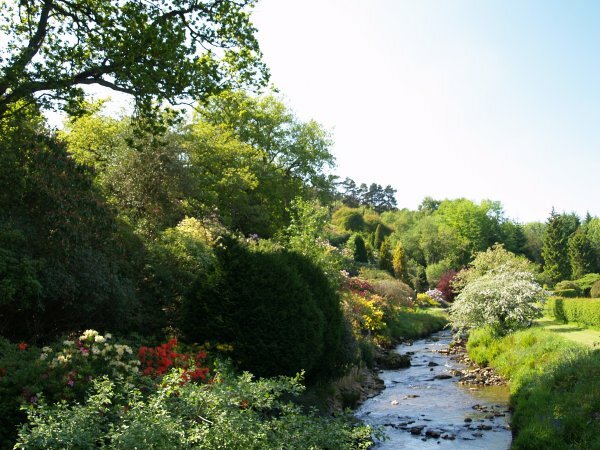 The traditional house garden has roses and mixed border plants, a water cascade down from the house, a wildlife garden and a separate secret Chinese tree garden. 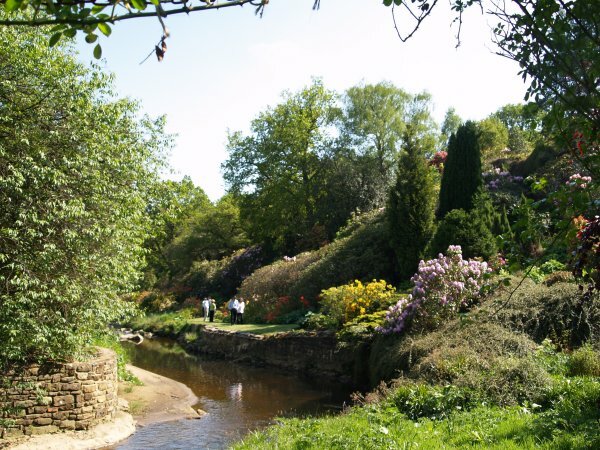 This is a wonderful garden to visit if get the chance when visiting North Yorkshire. 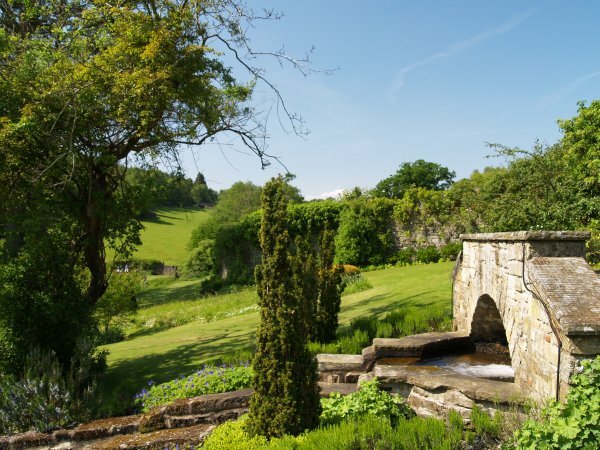 The waterfall that gushes out from under the house! 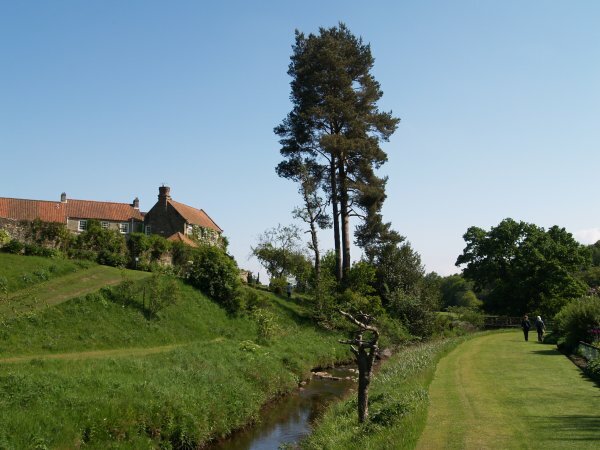 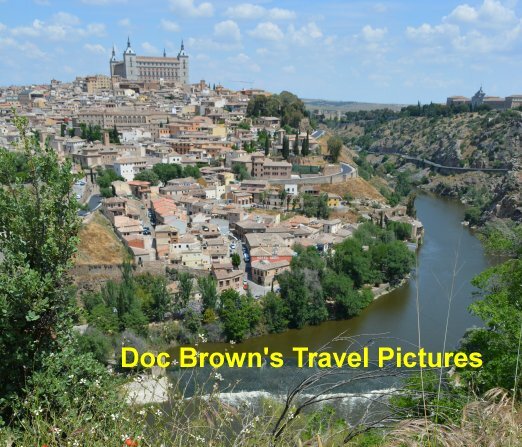 The start of the river walk below the house and then let the pictures speak for themselves.